Hemant G. Sule, House-Wide Nurse Educator at the Rehoboth McKinley Hospital, has been selected as a “Leader in Nursing” by the American Health Council. He will be sharing his knowledge and expertise on in Nursing Education, Emergency Nursing, Industrial Nursing, Ophthalmic Nursing and Operating Room Nursing. Amassing over four decades of experience in the field of Nursing, Hemant utilizes his expertise in his role as House-Wide Nurse Educator at the Rehoboth McKinley Hospital. Established in the 1900s, Rehoboth McKinley Christian Health Care Services (RMCHCS) developed as an integrated delivery system providing care for northwestern New Mexico and eastern Arizona. The not-for-profit healthcare system is committed to improving the health and wellness of all especially the people of Gallup and the Native Americans living on the nearby Navajo and Zuni reservations. In his current capacity as House-Wide Nurse Educator at the Rehoboth McKinley Hospital, Hemant’s day-to-day responsibilities include nursing education for over 350 nurses and other ancillary staff from ambulatory care, in-patient behavioral health, two outpatient clinics, urgent care, ICU, emergency services, med/surg, pediatrics, labor and delivery, mother and baby, surgical services, diagnostic imaging, laboratory, occupational therapy, physical therapy, home health and hospice. Following graduation with a Bachelor of Science in Nursing from the Eastern New Mexico University in 2011, Hemant pursued a Master of Science in Nursing from the Eastern New Mexico University in 2016. He is currently pursuing a Master in Business Administration in Finance and a certification as a legal nurse consultant (CLNC). 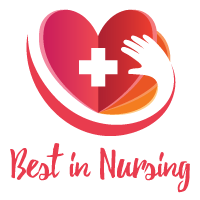 To keep abreast of the latest in the field of Nursing, Hemant maintains membership with The Emergency Nurses Association, The New Mexico State Emergency Nurses Association, The American Nurses Association, The New Mexico State American Nurses Association, and The Trained Nurses Association of India (TNAI). As a testament to his success, Hemant has been honored with the Daisy Award in 2013, which recognizes super-human nurses who demonstrate excellence in the care of their patients. Hemant became involved in the field after attending nursing school in India. Looking back, he attributes his success to support from his peers, guidance from professors and encouragement from his wife and family. In her free time, Hemant enjoys natural photography, playing / singing karaoke, singing Indian folk songs, movie songs, and North Indian Classical vocal music and Jim Reeves, reading Wilbur Smith and John Grisham, and lastly cooking Indian and Mediterranean food. He volunteers with rescue mission activities in his spare time. Considering the future, Hemant hopes to start a fully operational legal nurse consulting firm and to become to a chief nursing officer or a chief operating officer of a health care services organization. Rehoboth McKinley Christian Health Care Services (RMCHCS) is an integrated delivery system providing care for northwestern New Mexico and eastern Arizona. We are proud to continue a history of healthcare dating back to the early 1900s. As a private, not-for-profit healthcare system, we are committed to improving the health and wellness of our community and the individuals for whom we care. RMCHCS’ roots go back to the early 1900’s when Rehoboth Christian Hospital and St. Mary’s Hospital provided healthcare services to the people of Gallup and the Native Americans living on the nearby Navajo and Zuni reservations. St. Mary’s Hospital, located near downtown Gallup, became McKinley General Hospital in the late 1970s. In 1983 Rehoboth Christian Hospital, located on the east side of Gallup, merged with McKinley General Hospital in order to pool their resources so they could better serve the population. Today RMCHCS is a 501 (c) (3) not-for-profit healthcare network located in rural McKinley County. RMCHCS operates a 60-bed acute care hospital, two outpatient clinics, home health, hospice and behavioral health services. RMCHCS outpatient clinics offer acute primary care through its internal medicine and pediatrics practices and specialized services such as general surgery, obstetrics, gynecology, gerontology, infectious diseases and podiatry.